Submitted by Robert Matney on Tuesday March 20 , 2018. As custom web developers and designers, Polycot Associates works with clients who run the gambit from growing non-profit organizations to large enterprises such as Autodesk. We are happy to work with the preferred website hosting companies that clients require. Over the past 6 years, we’ve learned about fantastic web hosts through our clients and our partnerships. What CMS (Content Management System) would you like to use? Do you need to integrate with outside applications? Does your website need any special additional software? 1. What is the Uptime / Server Reliability? “For customers who need an Enterprise-grade SLA (Service Level Agreement), we'll contractually back your uptime. Three nines or your money back.” (Pantheon). That’s a strong guarantee that your website will stay up and running. Look for website hosting that does not have a history of going down often. 2. Do they provide a development and testing environment? 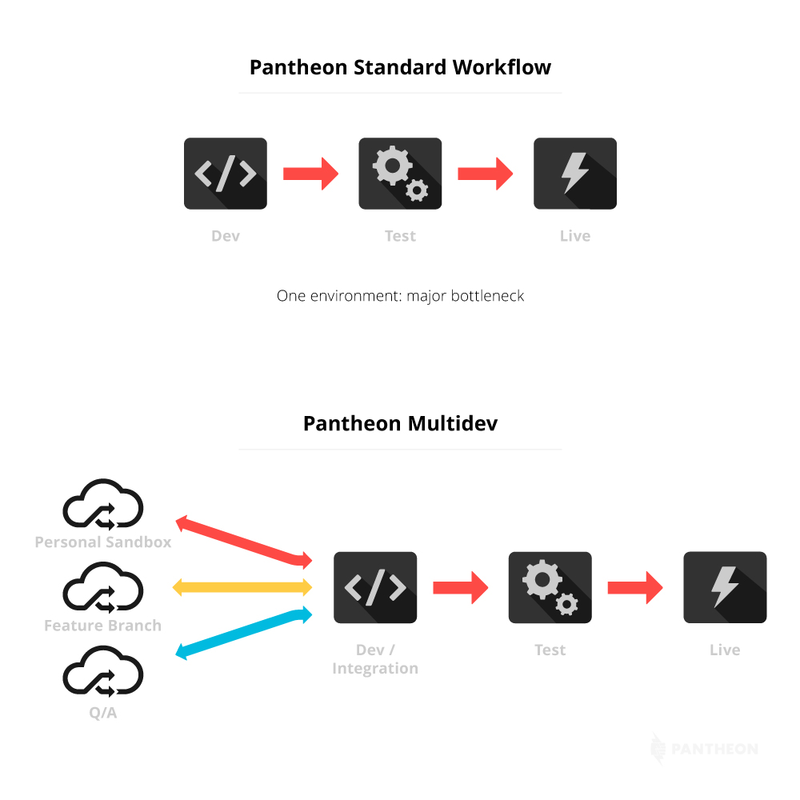 One of the reasons we like working with Pantheon is because every site comes with three environments: Development, Testing, and Live. Their sophisticated hosting environment not only supports, but also enforces, a variety of web development best practices including staging environments. This is key for simplified regression testing and quality assurance. 3. Are there extra fees for important features such as CDN and SSL? CDN (Content Delivery Network) is a system of distributed servers (network) that deliver web pages and other web content to your website visitors based on their geographic locations. Using a CDN can accelerate website loading times, reduce latency and bandwidth consumption, and can block spammers. SSL (Secure Sockets Layer) is a standard technology for establishing a secure connection between a website server and a browser. It ensures that data passed between the website server and browsers are private - especially important for anyone offering ecommerce or collecting information. By default, Pantheon implements a Content Delivery Network structure with SSL certificates integrated at no additional charge. 4. How easy is it to test new themes and functions? Choosing a website hosting company should be based on your business’ needs. In this article, you learned about the popular platform called Pantheon and why Polycot Associates chose to form a strategic partnership with them. If you are considering building a new website or getting a website makeover, then your website hosting should be a part of that decision making process too. Have questions about how Polycot approaches website development? Ask Us on Twitter or by sending a direct message.